Saturday 16th February – Manchester Storm vs Guildford Flames – DEFEND THE PATTON! This will be the first game back on home ice, following the Storm’s away weekend against Glasgow Clan and Fife Flyers. Bring your friends and family on Saturday 16th February as Storm face visitors, The Guildford Flames, in what will be a crucial Patton Conference game. The last time The Flames visited the Storm Shelter was for the televised game shown on FreeSports. Storm came out on top with a 3-2 win. Expect a highly competitive game. Doors open 18:00 for a 19:00 start! Wednesday 20th February – Manchester Storm vs Dundee Stars – PLAYOFF PUSH! Join the Storm for midweek EIHL game against Omar Pacha and the Dundee Stars, 20th February. With there being very little points separating the two teams in the EIHL table (one at the time of writing,) this game is crucial in the run up to this season’s playoffs. Doors open 18:30 for a 19:30 start! 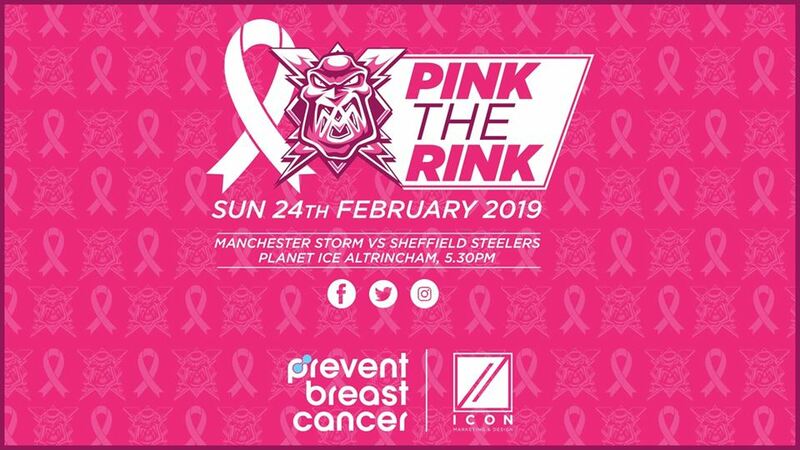 Sunday 24th February – Manchester Storm vs Sheffield Steelers – PINK THE RINK! Let’s pack the Storm Shelter, as Manchester Storm host their annual Pink the Rink game! Doing their part for Paint Altrincham Pink week (24th Feb-3rd March,) the club will be raising awareness and money for charity, Prevent Breast Cancer. Last season’s Paint Altrincham Pink game was a success, Storm beating The Nottingham Panthers 4-3 in penalty shootout. This time around, the Storm welcomeThe Sheffield Steelers. After a the sold out New Year’s Day game finishing 5-3 to Storm, and an 5-4 overtime win on the 24th February, this game will see if Storm can be successful with three wins in a row, on the run up to playoffs. This game won’t be one to be missed! Doors open 16:30 for a 17:30 start! 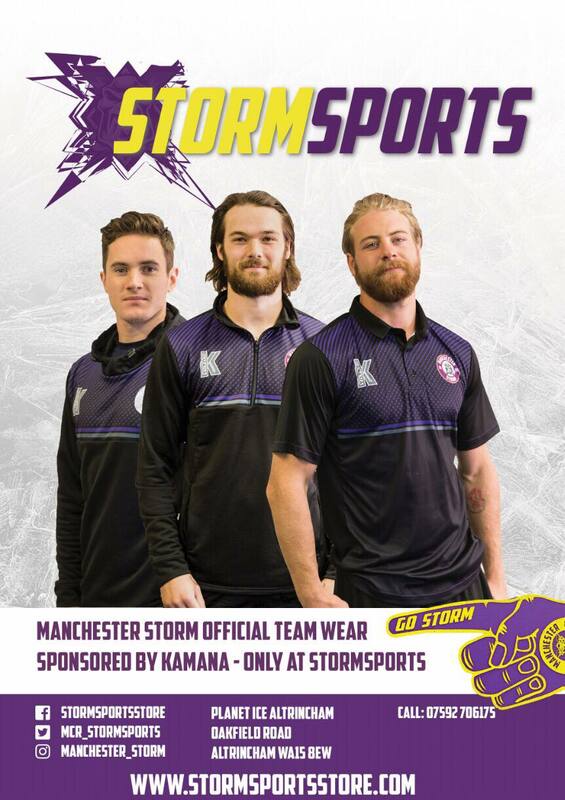 Saturday 2nd March – Manchester Storm vs Dundee Stars – JON HAMMOND RETURNS! Manchester Storm’s legendary match night entertainer Jon Hammond, will be returning to the rink for the club’s for one last night, on the mic! Join us for this special night, as the club retires Hammond’s renowned yellow suit. The one of a kind suit will be framed to commemorate all the hard work and entertainment Jon provided during the Storm’s times, both old and new! The Yellow Suit will be presented to Jon before face-off on the night! We would like to see Storm fans attending this fantastic, one-off event. More details will be announced nearer the time, so stay tuned. Doors open 18:00 for a 19:00 start!